Mike is Managing Director of BWA (Europe) Ltd and has over 35 years’ experience in the FM/property/construction industry. During this period he has worked on a wide variety of projects in the public, private and third sectors, including Imperial War Museum, Lloyds of London and Siemens. Having trained initially as a Quantity Surveyor, he subsequently obtained a Masters degree in property development / project management and latterly (since 1990) became involved in the provision of independent facilities management consultancy. 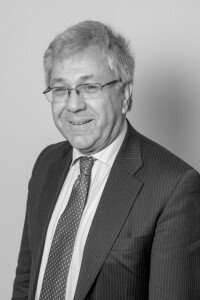 He is therefore uniquely qualified to advise clients at every stage of the building life cycle and this is reflected by the broad range of projects with which he has been involved both within the UK and overseas.